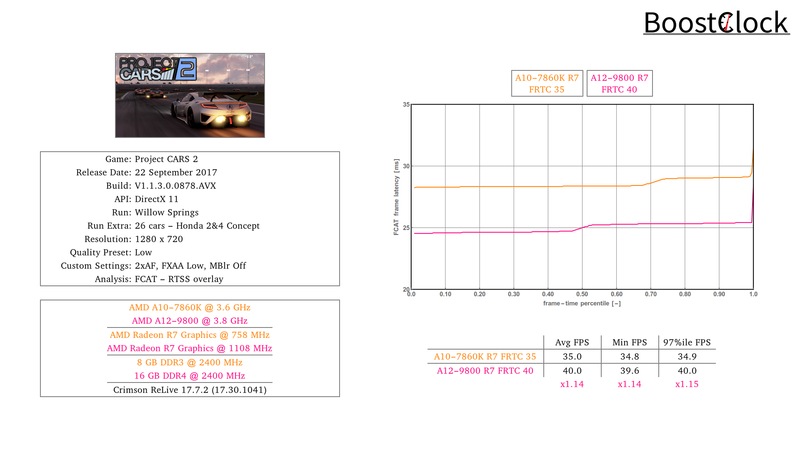 It seems that pCARS2 has some very weird issues with AMD APUs. The game feels and plays very different with and without FRTC (Frame Rate Target Control). 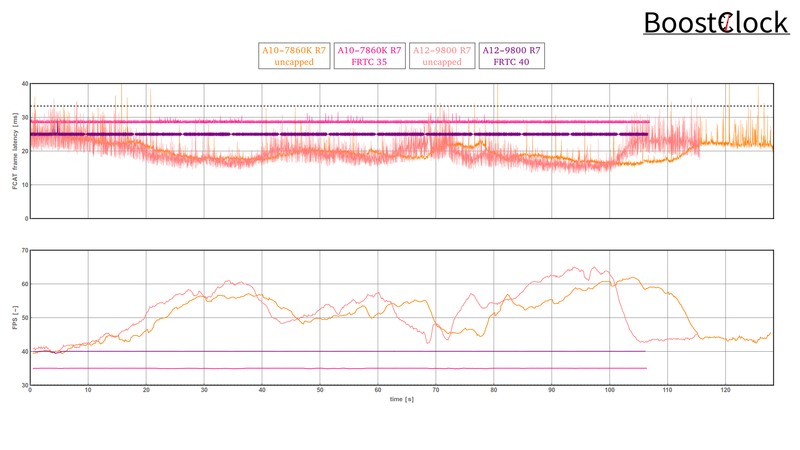 With FRTC enabled the cars are much more grippy, responsive, lively and you can post better lap times as well. With uncapped frame rates the game is dull, the car doesn't accelerate well, etc. The first section demonstrates the capped version of the game on both A10 and A12 APUs. The game felt great and it was very easy to get synchronized recordings (essential for side-by-side frame time comparisons). The second and third stint reveals the inherent issue with the game - the responsiveness of the game is markedly different. In the final part you can check out how much slower the game is without FRTC - we start from the back of the grid and follow the race from the last position. AI skill and aggression levels were the same in every recording. 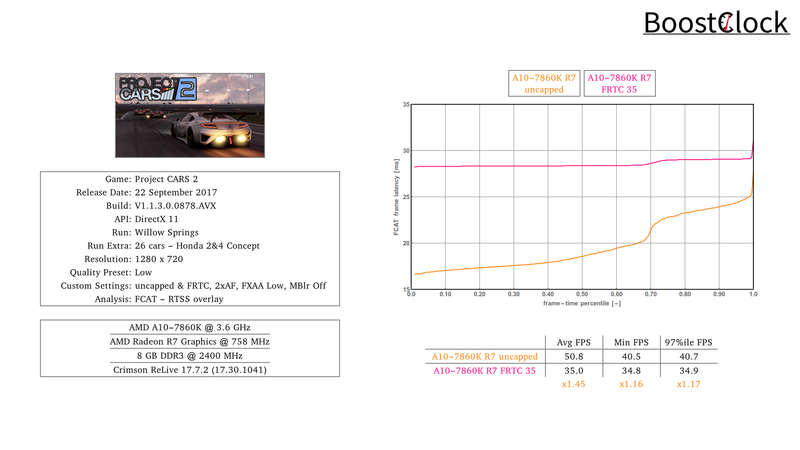 With FRTC enabled the A10 maintained 3.6 GHz clock speeds on the CPU which surely helped pCARS 2. 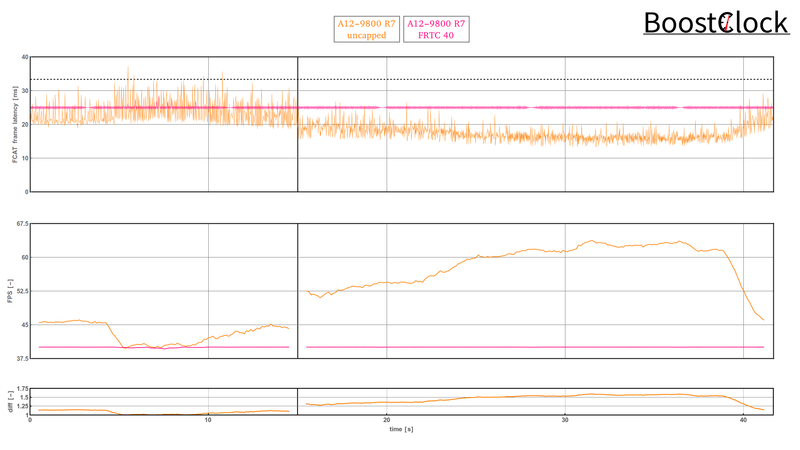 As you would expect, capping the frame rate also reduced the IGP's clock speed and lowered CPU utilisation. 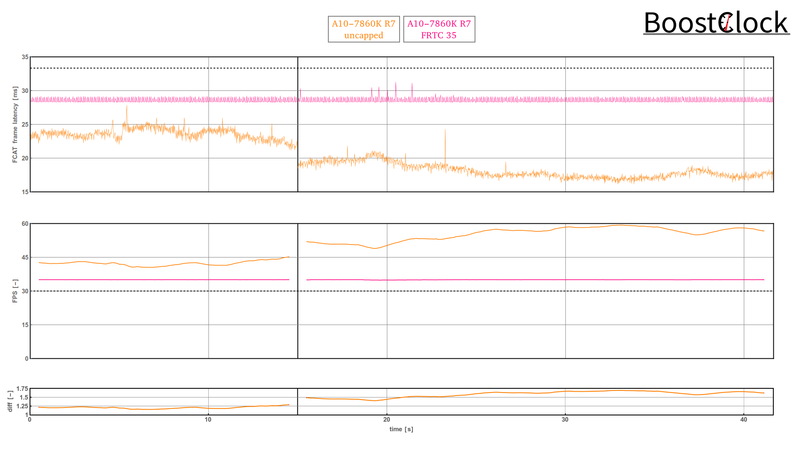 Interestingly, the A10 APU ran 10 Celsius warmer as well. The A12 didn't suffer from this by default as it was able to hold 3.8 GHz with both settings and the "slow mo" experience without FTRC was not that severe as with the A10 but definitely noticeable. Tried to set lower "Processor Graphics Clock" on the A10 to mimic the effect of FRTC but it didn't have any visible effect. 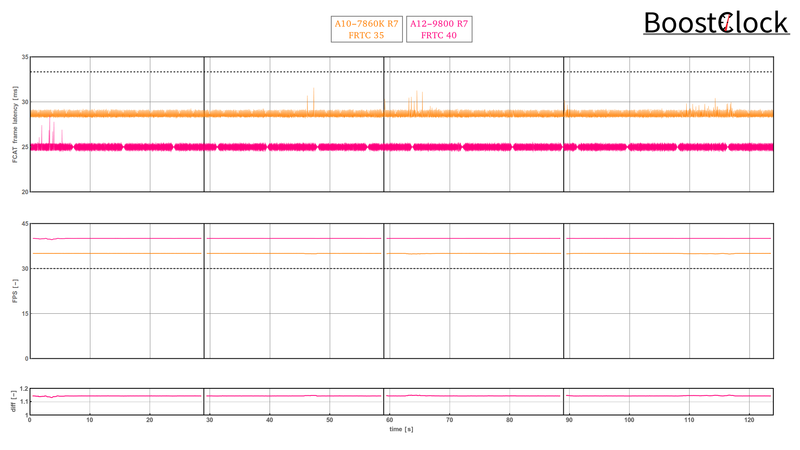 Unfortunately, the BIOS of the A12 is still super unstable - slight modification to the voltages or the multiplier results in crashes or the board simply can't boot with the modified values.